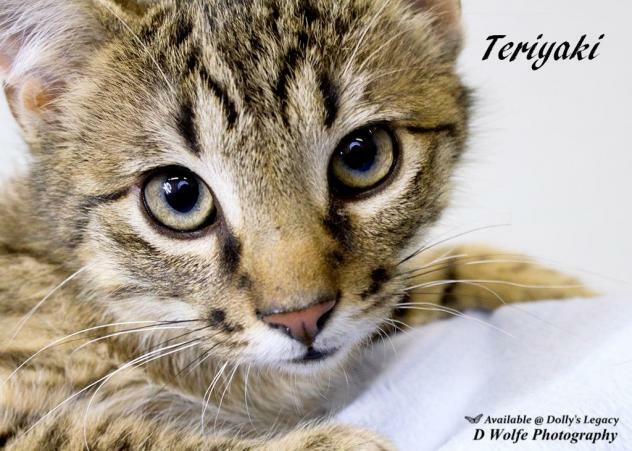 Description:TERIYAKI is waiting for a forever home! 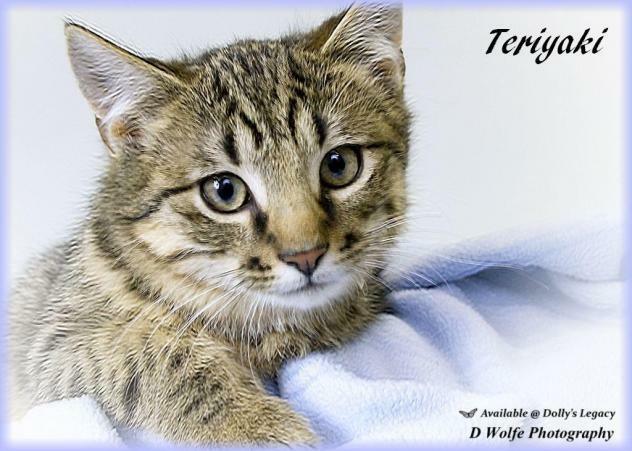 Teriyaki is a playful and adventurous kitten. He was the first of his litter to trust & now will stop at nothing and is loving life as a house kitty! Dolly's Legacy was contacted by the employees of a Subway sandwich shop about a mom who had a litter of kittens and was frequenting their store parking lot looking for food in order to keep herself & her little family alive. It was in the middle of a brutally cold winter, and we could not bear the thought of them being out in the elements, and likely freezing to death. Mama, whom we have named 'Subway', and all four of her boys, whom we have named Meatball, Teriyaki, Turkey & Pickles, were rescued by our volunteers on a bitterly cold night. They were scared, but grateful to have a warm place to sleep and full bellies. Mama is still unsure of humans, but her kittens are blossoming in their foster home, loving the toys to play with, and getting into kitten mischief. We want to see them go on to find families of their own where they will flourish and be treated like little royal princes! 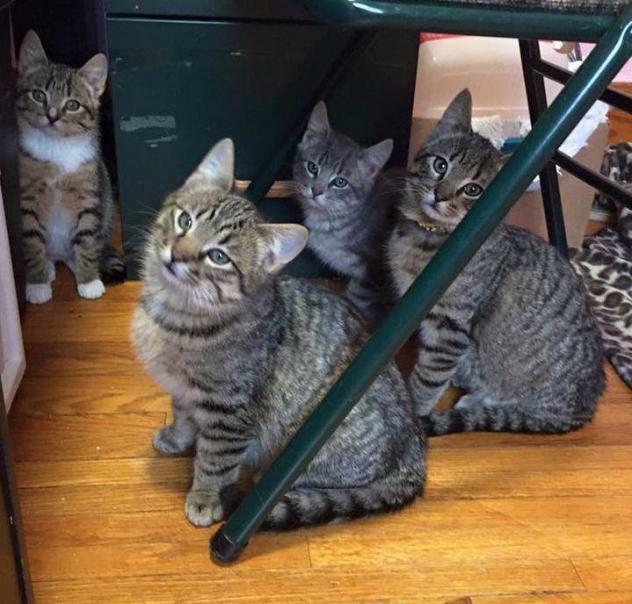 Subway's kittens were born October-November of 2015. They are neutered, vaccinated, dewormed & microchipped. Adoption fee is $100. For adoption guidelines and to submit an application, please go to this link: http://dollyslegacyanimalrescue.org/adopt/ We are a foster-home based rescue group and do not have a facility. The first step is to have you complete our online adoption application. All adoption appointments are scheduled after your application has been approved. We are 100% volunteers & will generally reply within 3 days of application submission. PLEASE be sure to answer all questions completely or it will delay processing, be sure to include vet phone#. If you have any questions please email DollysLegacy@aol.com. Please 'LIKE' our facebook page to learn more about our rescue, see more pictures & get updates on all our adoptable pets!